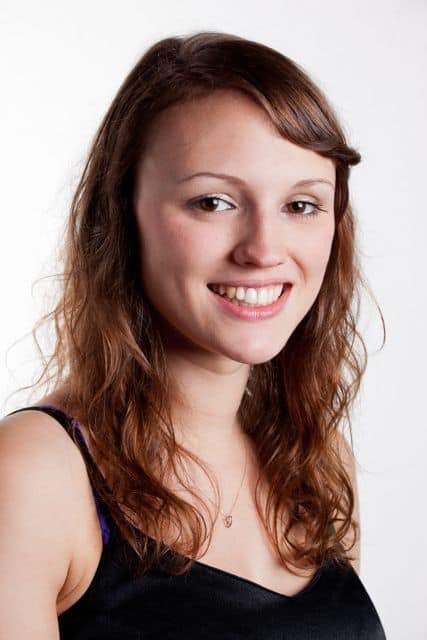 Elizabeth recently graduated from Durham University with a BA (Hons) in German and Music and is currently a student at Birmingham Conservatoire, where she is on an entrance scholarship and is working towards a Postgraduate Diploma in Vocal Performance, studying under Catherine Benson. Previously, she studied with Gaynor Morgan in Lincolnshire. Elizabeth is a highly experienced choral singer, and is currently a member of the renowned chamber choir at Birmingham Conservatoire, under the direction of Jeffrey Skidmore and Paul Spicer. In 2011, Elizabeth was selected as one of 22 successful applicants across the country to take part in the Genesis Sixteen project, which has been introduced by The Sixteen to identify and nurture the next generation of professional ensemble singers. As a result of the project, Elizabeth sang alongside The Sixteen in their performance of Handel Messiah at the Barbican in December 2012. More recently, she has been invited to sing with Birmingham-based Ex Cathedra. She is currently a regular member of a new choir founded by conductor Owain Park in 2013, Vospiri, which has just recorded its debut album Even Such Is Time, due to be released later in the year. In April, she sang in the London International A Cappella Competition with Renaissance, a choir formed by Ben Rowarth. She has recently formed her own vocal consort, Amici Cantantes, who have won the Corton-Hyde Prize for Early Music and the Leamington Music Prize. Elizabeth has worked with notable conductors, such as Harry Christophers CBE, Bob Chilcott, Hilary Davan Wetton, Jeffrey Skidmore and Paul Spicer. She recently sang in the world premiere of a new work The Angel of Mons by Patrick Hawes, who was composer in residence for Classic FM in 2006-7. As a result of the performance, Elizabeth will be working with him in 2015 and premiering two new songs, which he is writing for her Postgraduate Final Recital. Elizabeth completed a year abroad in Vienna in 2012, where she studied under Rannveig Braga-Postl at the largest conservatoire in Austria. During the year, Elizabeth also sang with highly acclaimed Viennese choir Chorus Sine Nomine, under the direction of Johannes Hiemetsberger, performing two concerts in the Musikverein in Vienna, one of the most famous concert venues in the world. As a soloist on the concert stage, Elizabeth is a regular recitalist in the Lincolnshire area as well as the North East of England and has sung for Louth Choral Society, Hallam Choral Society and Tynemouth Choral Society. Closer to University, she has performed as a soloist in Birmingham Cathedral, the Adrian Boult Hall and Leicester De Montfort Hall. She has performed in masterclasses with Michael Chance, Susan McCulloch and Catherine Foster. In Oratorio, recent solo engagements include Vaughan Williams Mass in G Minor, Fauré Requiem, Haydn Kleine Orgelmesse, Handel Messiah, Brahms Requiem, Mozart Requiem, Rutter Requiem, Purcell Come Ye Sons of Art, Vivaldi Gloria and the Youth in Mendelssohn Elijah. Operatic roles include Sister Catherine Dialogues des Carmélites and Dew Fairy/Sandman Hänsel und Gretel. She is looking forward to performing as Georgia in the world premiere of Michael Wolters’ opera Ava’s Wedding this year with the Birmingham Conservatoire. In March 2014 she was a finalist for the Ashleyan Opera Prize. Elizabeth is supported by the Mario Lanza Educational Foundation and the Michael James Trust.